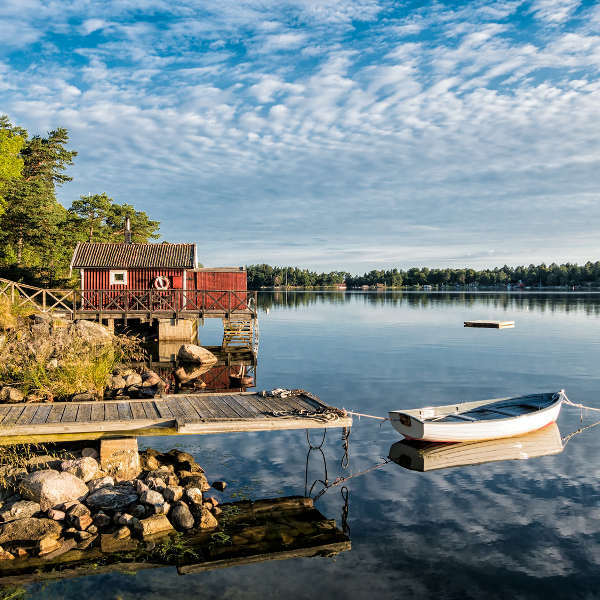 Sweden is a dreamy holiday destination for anyone who loves a bit of fresh air in their lungs, nature and long summer days. With almost 10 million residents, the country is packed full of outdoor activities and tasty Swedish dishes such as meatballs and pea soup! Attractions include Vasa Museum (Stockholm), Oresund Bridge (Malmo) and the Lund Cathedral. Cheap flights to Sweden are now available for a limited period of time, so get ready to enjoy this Scandinavian destination. Sweden’s capital city, Stockholm, is home to Stockholm Arlanda Airport (ARN), located just 30 minutes from the city centre. 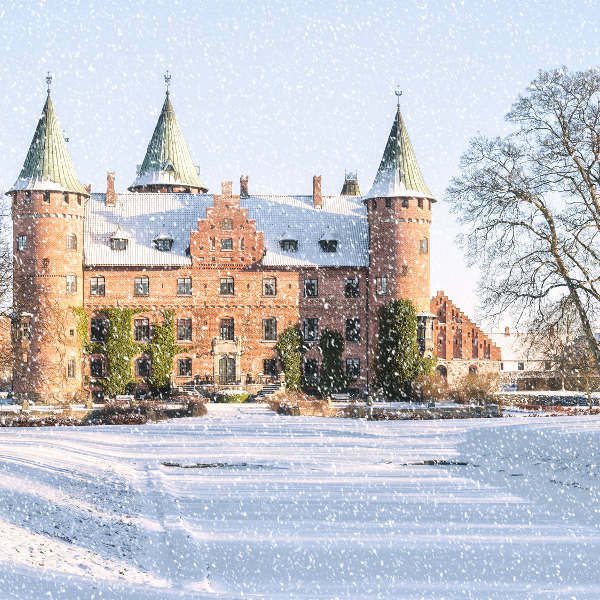 For about five months of the year, most of Sweden is blanketed by a layer of sparkling white snow, giving opportunity from the most relaxing to extreme winter sports to be enjoyed, such as cross-country skiing, dog sledding and curling. Almost 90% of the country is uninhabited, resulting in cities and towns abound with nature in every direction that you look. You can truly breathe some fresh, clean air here – making it hard to want to leave. Summer days in Sweden can last for up to 17 hours long, meaning that you can easily walk around and enjoy the night out for many, many hours. Oh, and the Swedes know how to throw a good party! Sweden has a long, cold winter and a warm, pleasant summer with days that have the sun setting at 10pm! The best time to visit is in the warmer months between May and October. During this time the days are comfortable and can get surprisingly hot around the south of the country, in cities such as Malmo and Kalmar. Winter can get very cold, but it is perfect for skiing and other snow sports. It is also a great time for spotting the Northern Lights, if you’re in luck. The nights are also longer during the winter months (November to April), allowing for lots of hot chocolate in front of the fireplace. The sights are beautiful, the people are friendly and they throw some great parties, so what reason could you have for not wanting to visit this Scandinavian country? The mountains and countryside offer crystal clear and untouched views of nature, with crystal clear waters. Take a passenger cruise down the calming waters of the Gota Canal which features 48 bridges that are a great way to see the interiors of the country. Don’t forget that the Swedes are historically linked to the Vikings and carry this proud heritage into their modern day lives. With this brave spirit, don’t be alarmed by a summertime fun activity called Swede Baths, which is basically skinny dipping in lakes! The town of Sigtuna is alive with history in medieval churches, ruins and architecture. The Northern Lights are a natural phenomenon that can be spotted all around the Swedish sky from the beginning of September all the way through to March. In the summer months, June to August, Sweden experiences long summer days that can last for up to 17 hours. This also means that this Sweden has some of the best music festivals and parties! If you’re looking for fairytales and happily ever after, then visit Fairytale Drottningholm Palace on the island of Lovö, just west of the country’s capital, Stockholm.The Vasa Museum is for all history enthusiasts, and does not disappoint. This ancient ship lay in icy waters for three centuries and was salvaged in 1961. Compare several airlines and book your cheap flights to Sweden online at Travelstart! In Sweden, you don’t have to worry about your safety, as long as you use common sense and make sure to not do anything that makes you uncomfortable, like skiing off a really high snow peak when you’re inexperienced, for example! In the cities, it is not advised for women to walk around alone after dark, and if moving between two locations, it would be best to call a taxi. Currently, there are communities of refugees in the outer city areas of Stockholm, Gothenburg and Malmo. You will not need any specific vaccinations before your trip to Sweden, but it is always recommended to get your routine check-up before any trip overseas. Some travellers may consider getting the following vaccines: hepatitis A, hepatitis B and rabies.